Every week I feel like I am talking about a different painting. I tend to write about whatever I was working on that day. Well to my defence I work on about 20 paintings at once. This week has been extremely productive. 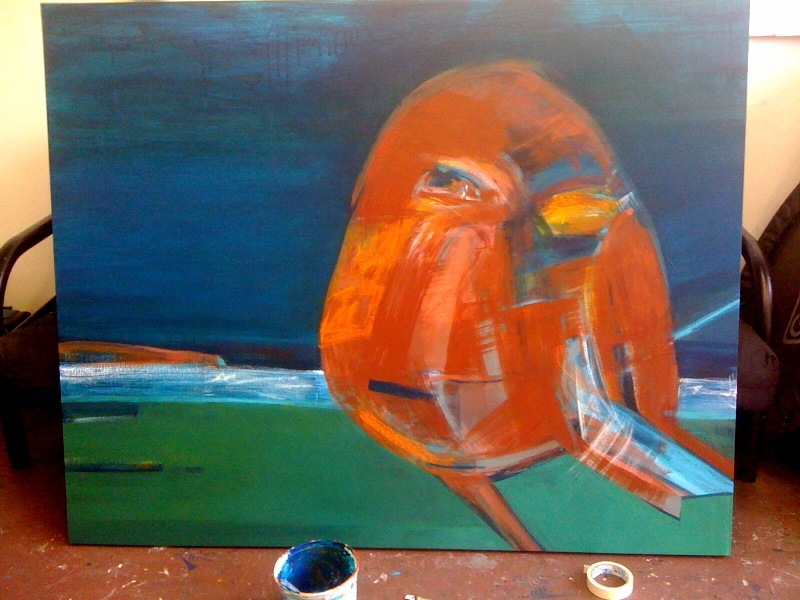 Currently, I am working on about 5 large paintings 48″x60″. I am hoping to have three of them finished by the end of next week. Usually if I give myself a personal deadline I tend to be more focused. The attached image is the painting I feel will be completed first. I took the photograph with my phone as I was running out the door so the quality isn’t the best.